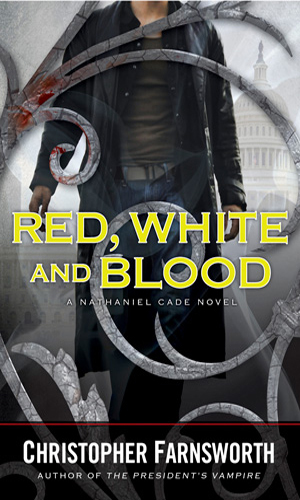 Nathaniel Cade is an agent for the President of the United States. He has been in the service of the sitting Chief Executive longer than anyone else, longer than any of them have even been alive. He has been able to outlive them all by not being alive himself. Anymore, at least. He was once a simple seaman escaping poverty by working on a sailing ship. He was just one of the crew that began to fear for their lives and their very souls as fellow sailors onboard started to disappear. One by one or sometimes even in twos they disappeared. At first whatever was killing them disposed of the bodies over the side but after a while, no longer cared about hiding its activities. Cade was one of the last to be attacked and should have died himself but for reasons he does not know, nor does anyone else, he survived. But he did not live. It was in the months just after the assassination of Abraham Lincoln that Cade was turned into a creature of darkness. He was also captured when the ship was discovered. The original creature was long gone. Cade was found feasting on his friends. Captured, his state was brought to the attention of Andrew Johnson, newly sworn into office. Johnson at first thought to have him destroyed but then had a different thought and summoned from New Orleans the famous Marie Laveau. Using her voodoo knowledge to control Cade long enough to talk, a bizarre deal was arranged. Exactly why Cade swore an oath to work for each President against the nation’s enemies, foreign or domestic, no one knows. Cade certainly hated himself and what he had become and wanted to be destroyed. Still, in his life, he had been a fairly pious man and a chance to pay penance for his killing of his comrades seemed like a good idea. For the last 145 years or so, Nathaniel Cade has kept his vow. Lest anyone get the wrong idea, Nathaniel Cade is not a vampire with a heart of gold. He does hate what he is and refuses to drink human blood. He also honors his oath and his promise to protect the country’s citizenry. He is far from human, though, and should an enemy present himself, Cade will destroy it as fast as is inhumanly possible. Shortly after Zach Barrows is forced to work with the frightening Nathaniel Cade, the two come up against the Shadow Company out to bring down the government with a bioweapon that brings back the dead as killing machines, created by a two hundred year old mad German scientist once named Frankenstein. A private security firm/army working closely with the government has its own agenda which entails also working with an ancient reptilian threat to destroy all of mankind. Nathaniel Cade has fought them before but now there are a lot more. The enemy is one everyone has been told of but no one really believes in - the Bogeyman. Nathaniel Cade has killed him several times in the past. 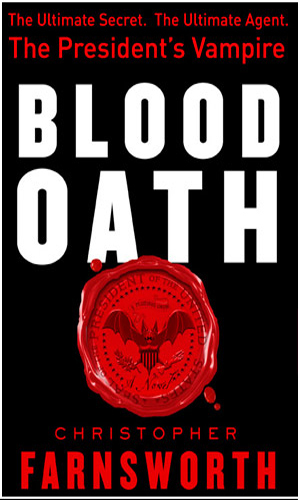 It is now back and has help to kill the President and more. People capable of spontaneous combustion are igniting and kill innocents. 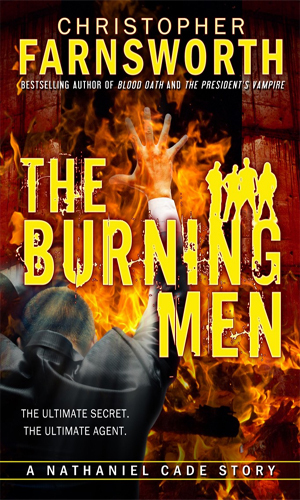 Nathaniel Cade is sent to find out why and how and to stop it from continuing. When a friend dropped me a line about this series, I had to grin with delight. I have loved vampires stories since Christopher Lee chilled my bones with his incredibly evil rendition of Dracula. As a teenager, I raced home from school to follow the strange adventures of Barnabas Collins of Dark Shadows. Over the years, my love of blood-sucking Undead has stayed strong, including watching every episode of Buffy, the Vampire Slayer and Angel. And then came the modern take on vampires as they started to sparkle and glitter and 140-year old men attended high school and dated 15-year old girls. Creepy in a whole different way! Reading the blurb on Amazon about these books, I knew before I opened the first that this was not going to be a Twilight style adventure. This was the good stuff! I was lucky enough to order all three adventures at once. I say lucky because if I had had to wait any time after the first one to start the next I would have been quite cranky. Of course, having just finished the third and last book in the series (so far), I guess I am still cranky. But it is definitely not at the series or the author because both are incredible. Fans of spy-fi who are not also nuts about vampires are likely to give this series a pass. I would recommend otherwise. 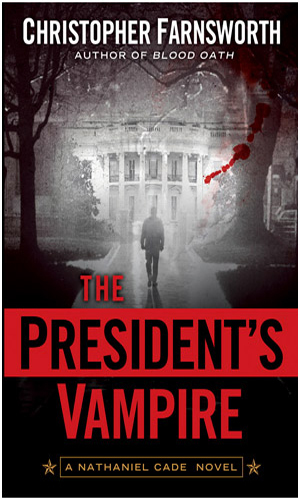 True, the vampire element, indeed the whole Other Side filled with demonic-style evil permeates everything but the concept of enemies of the country trying to bring down the government or destroy the populace is as strong here as in any other series I have read. The main twist is that instead of shooting the bad guys, Cade snaps their necks. Off. Obviously, I loved this series.